Back in June, we reported that Ed Sheeran was being sued for allegedly ripping off a song released by X-Factor winner Matt Cardle and written by Thomas Leonard and Martin Harrington for his single “Photograph.” The songwriters were being represented by Richard Busch, the attorney who got Marvin Gaye’s family a bunch of money in the “Blurred Lines” lawsuit, and they were reportedly looking to get $20 million from Sheeran and his co-writer Johnny McDaid. 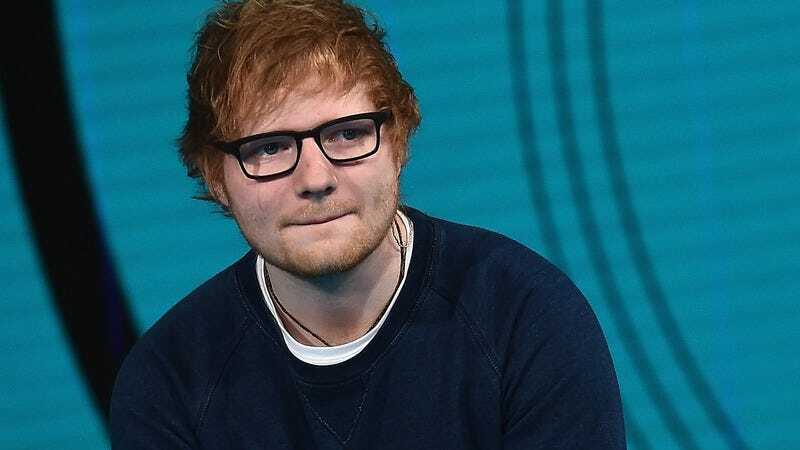 Luckily for them, the BBC is now reporting that the two sides have agreed to a settlement deal, meaning Sheeran is going to get out of this mess without having to hand over $20 million. The original lawsuit was based on what the plaintiffs called “verbatim, note-for-note copying” in Sheeran’s “Photograph,” which they said ripped off “the very essence” of their song “Amazing.” Furthermore, when they broke the songs down, the chorus of “Photograph” was “about 70 percent” the same as “Amazing” in “pitch, rhythmic duration, and placement in the measure.” With Sheeran now agreeing to a settlement, the exhaustiveness of that evidence seems to have done its job.